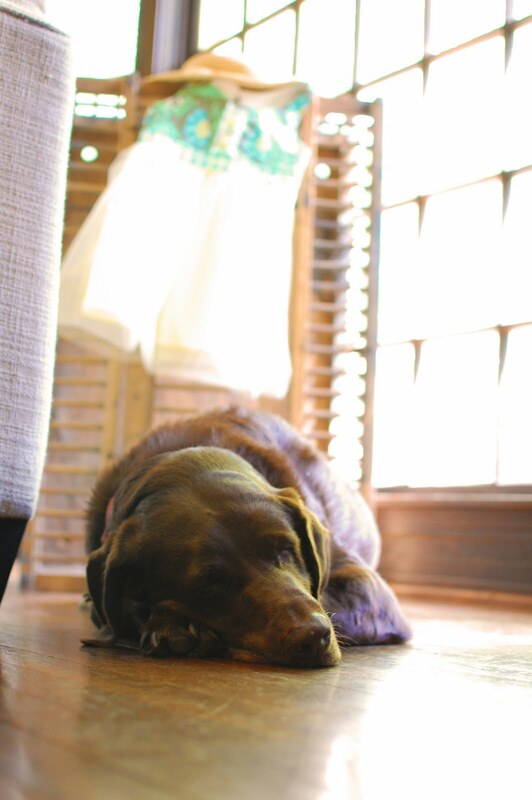 so, for those of you that are new to BG, or haven't read my "about me" you may not know that my hobby is named after my sweet, sweet 4-legged babes. my labradors. my first hearts. love them forever. so - they don't get a lot of lime-light. you know, they should. but i just never think my frocks would look as cute on them. and, i doubt many of my fans would be as crazy about dog fur on clothes as i am. but, today i had the help of mallard brown, aka brown doggie, buddy, brownie. i got him when he was 6 weeks old. he is my heart (just ask my husband). i loves him. and he loves me. in my eyes, he can do no wrong. he even walked me down the aisle in my wedding. isn't he the sweetest? ps - will be unloading some BG originals soon. the first 'release.' haha. wow - that was about as corny as they come. oh well...my creative mind is in overdrive here at BG, and sometimes when that happens everything else seems to go to the poopers if you know what i mean. meet mae. 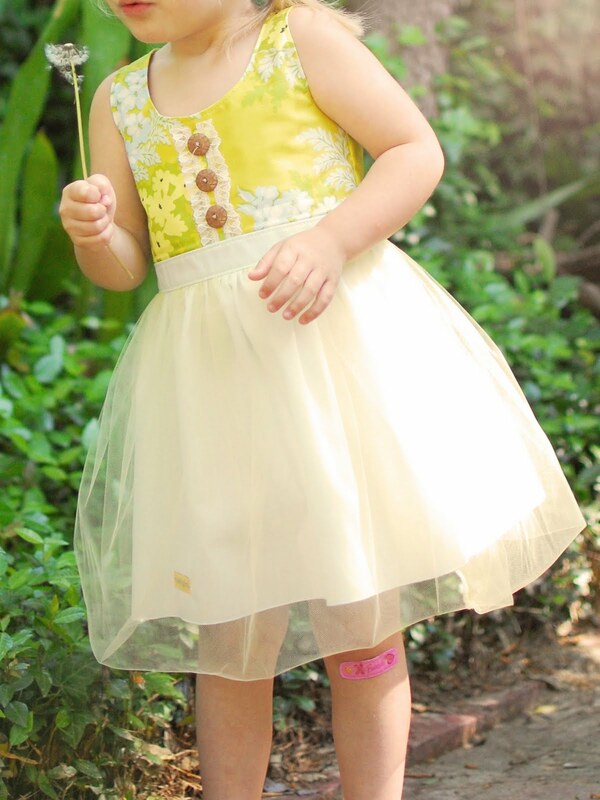 my louisa LOVES her tulle. and her barbie band-aid. oops. and now, meet milly. methinks she is my newest fave. i got inspiration from the brilliant matilda jane with the layla lace for this one's skirt. and the fact that my mom just happened to have some in the attic just fueled the fire. i really love this keyhole look. oooohhhhwie. yeah, me too. what my plans are for the moment is to finish drafting the patterns (i have one 12-18 mo, 2-3 and 4-5 and there might be a 6-7...not sure on that yet) and then get to work on some inventory so i can get them up to sell. 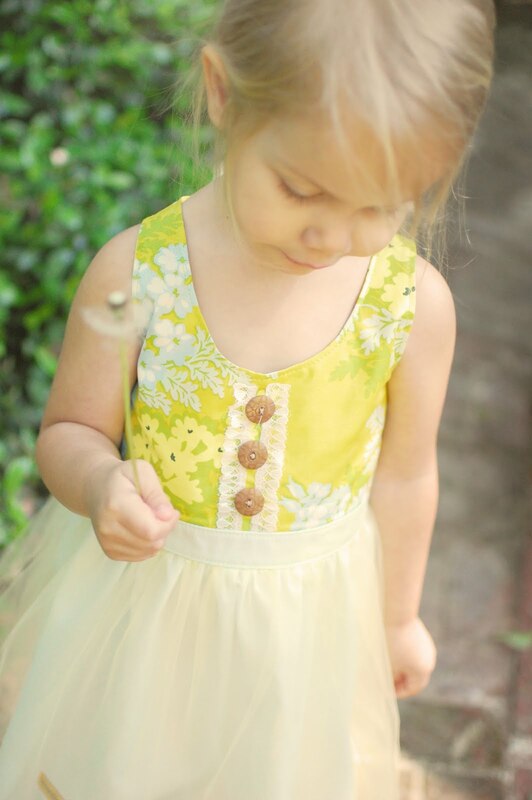 i just cannot deprive your little girls of these dresses! when i start to get more funds in my paypal, i will be fabric shopping again...this time for the boys in hopes to get some ideas on fabric for those patient little men. have you missed me? it has been quite a while i will admit. little sweetness, aka baby boy BG doesn't allow much hands-free time for momma, which means not much time in the sewing room. but, i have had this design in my head and it has haunted me for the last 2 weeks. when i lay in bed i think about it and all that needs to go to it. i think about the perfect fabric combos and how i need to put it all together. well, i finally had some time yesterday to sit down and put it on paper, and then thankfully on some fabric. and it worked. and i smiled. there is no better feeling than dreaming up something in your head and seeing it work. makes me proud. trudy is my newest design. she is flirty like louise, and she is vintage like nelle. 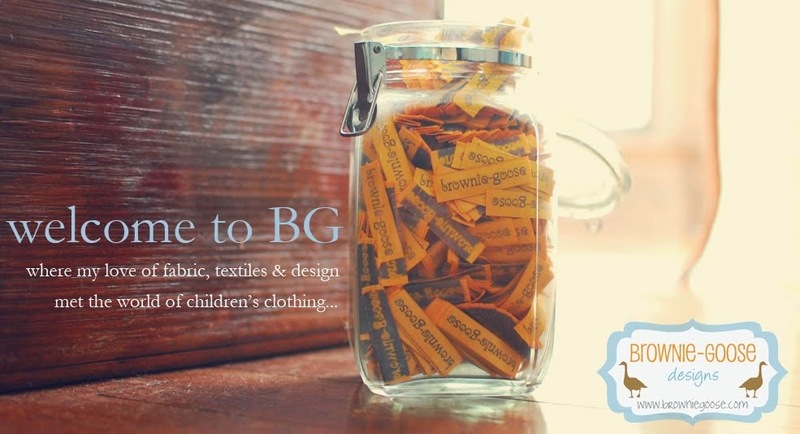 she is the new face of BG. i have slowly been stepping away from the bright designs and loud fabrics for the softer more subtle tones. have yall noticed? she makes me swoon. from the bodice and the rosette and the red buttons all the way down to the tulle...she makes me swoon. she is very similar to louise, but more of a cousin rather than a sister. i have plans to have more of her. i have no clue how this will work on a time-line. as i said before, my studio time is very limited these days. however, i have more flowy tulle and more delicious fabric just waiting to be turned into a trudy. there will be different fabric combos just to keep it interesting. :) keep up on facebook - that is where i will post when i have more made. until then...does she make you swoon?